Both force and acceleration signals may be squelched during periods of high jerk or a high jerk to acceleration ratio. For example, when the first derivative of some combination of the force and acceleration signals exceeds a threshold, both signals are set to zero. Most of the error due to non mass like mechanical impedance in, say, a semi-trailer loaded with shifting cargo, may be eliminated. The signal to noise ratio of the red acceleration signal below is lower than the furrows in a farm loading operation, much worse than the typical paved parking lot or road. Also only 48 samples were taken for the signal. The noise free signal (blue) is the same as the reference (not shown) except it's in phase with the noisy signal. The noise is in green. The mass to be determined is inversely proportional to the rectified area under the curve so the noise would result in an error of at least 9.5% without any filtering. 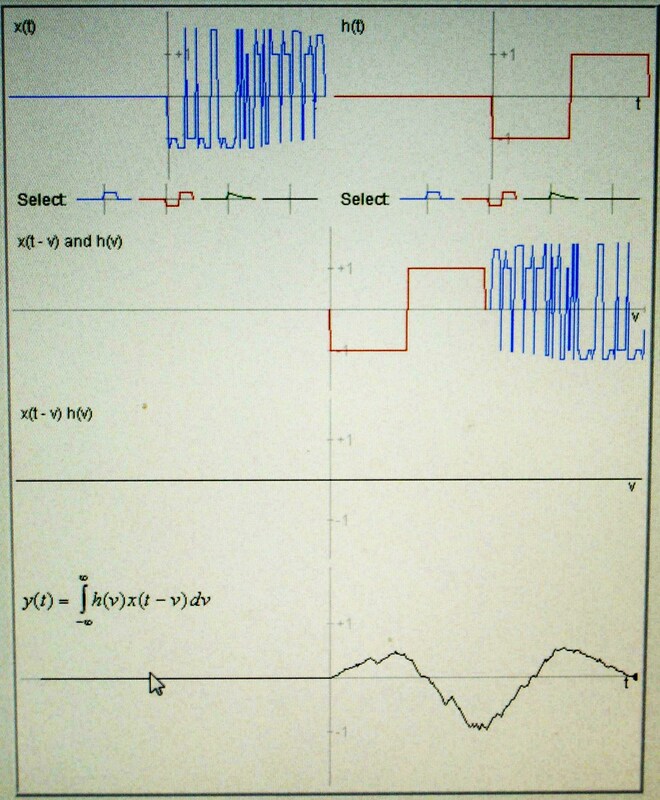 To recover the filtered noisy signal the IMPRODUCT from the frequency domain is deconvolved by taking IMSQRT. Then go back to the time domain by taking the inverse Fourier Transform. After "folding" and splicing the original signal shape reappears. To correct the magnitude multiply this by the square root of the ratio of the magnitude of the convolution of the signal to the magnitude of the convolution of the reference with itself. 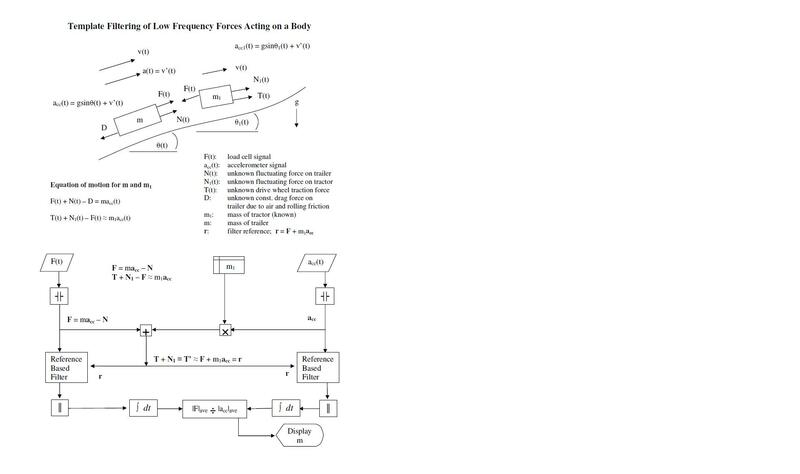 The load cell signal is not shown but it receives the same treatment to cancel any non linearities and offsets that creep into the signal processing as well as to filter. Try making up your own signals and noise on Excel and see how well it works. Since the signal is already known in matched filtering, "signal recovery matched filtering" isn't such a great name. Better names might be "true matched filtering" or "match only filtering" or "naked matched filtering" or "complete matched filtering." Without the low pass filtering effect of the convolution it is possible to compare the essence of various filters to determine the "optimal" filter. Before they were trying to compare trees to branches of other trees. Below the noisy blue square wave on the left is detected using the red reference or "template" on the right. First notice the shape of the noise free convolution by selecting the same wave form for both sides. Remember the shape on the bottom graph. For a square wave the convolution should be two triangular peaks on both sides of a triangular valley. Now bury the wave form on one or both sides under a tsunami of noise by clicking in a lot of spikes above and below that wave form and compare that convolution with the first. Actually this amounts to replacing much of the signal with noise, not just adding it, so the SNR is fluctuating between zero and infinity. For a square wave the same peak-valley-peak convolution appears. Unlike signal recovery matched filtering you can't see the original wave form directly but it's easy to tell that the original signal has returned. The few crinkles in the convolution aren't enough to make a case for beating a speeding ticket. Conventional matched filtering should really be understood as a truncated version of the signal recovery method in the Excel example above. 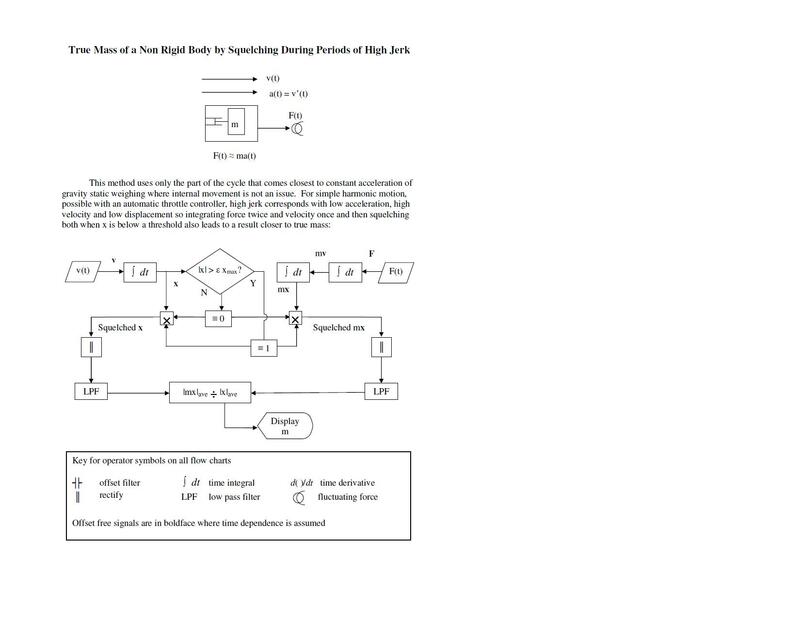 It sounds like getting something extra for being lazy, but by omitting the deconvolution, traditional match filtering has the additional often desirable effect of low pass filtering. Since noise is often at a higher frequency than the signal few were willing to question traditional matched filtering. Even when signal detection is all that is desired, however, it would be better to separate what should really be treated two distinct processes. Recover the original signal by taking the deconvolution of the match filter output, and then, if any additional frequency filtering is necessary, tailor it to the situation and to your needs. This was so much cheaper than hooking up to city water it paid for the parts in 2 months. A well in the back yard had been abandoned for at least a decade and all that remained of the pump system was the 40 gallon storage pressure tank. The water in the well was 50 feet below ground level and pouring water into the well and checking the level indicated the well was partially clogged. The resistance to flow is the same in either direction so a low flow rate pump was required to keep the water level in the well from dropping below the intake. The storage tank held enough water for a shower and to recharge the vacuum pump. The problem was that there wasn't anything on the market that would be suitable. The solution was to decrease the effective density of the water so that a shallow well pump could be used to pump water from a deep well. Since the density of a liquid cannot be changed very much the water was mixed with air and brought up in a two phase flow with a lower effective density. The water was then separated from the air in a common fiber wound bullet shaped water softener tank and then pumped over to the storage tank. The actual design and operation is simple. The bullet or vacuum tank is first flooded with water through a solenoid valve on the storage tank. The air in the vacuum tank is expelled through a polyethylene tube switch. When the tank was full of water the water jerks the tubing contacting two wires going to an on/off relay. The relay shuts the solenoid and turns on the shallow well pump. The water in the vacuum tank is pumped back to the storage tank creating a vacuum in the tubing down the well. The vacuum introduces air through small holes just above the water line while raising the water in the tubing to mix with the air. The optimum air/water ratio can be adjusted if the holes are spread out above and below the water line, raising the tubing for more air/water and lowering for more water/air. At first I used capillary slug flow in a dozen or so 1/4" tubes in a bundle, one pin hole / tube. Later I realized I could get away with a single 1/2" PVC flex tubing with a few pin holes spread over a short distance above and below the water line. When all the original water as well as the water pumped from the well is pumped out of the vacuum tank a float switch in the vacuum tank flips the relay. The relay then opens the solenoid valve and turns off the pump to start another cycle. Obviously two vacuum tanks may be used for a faster flow rate with an efficiency as good as any other deep well pump system and to keep the pump from turning on and off so often. The $75 shallow well pump I used, however, never burned out after 4 years of operation. Used water softener tanks are generally tossed so the entire cost of my system was less than $200. The polyethylene tube "squirt switch" was gratuitously whimsical so something more commercial looking may be desirable. The excess water also attracted mosquitoes which eventually attracted a lazy frog whose hind legs had atrophied from lack of use. Variation 1. A shop vac by itself wouldn't provide running water but it would be a simple way to draw a batch from any depth to the surface. The vacuum might not be as great as a liquid pump so the air - water ratio may need to be increased somewhat. Variation 2. Hikers could easily carry 1/4" tubing to get water over 28 feet down a crevice. Variation 3. The limited lift of an atmospheric Fluidyne pump can be increased if the water is first pumped through a venturi to blend in some air. The density and viscosity of any liquid are orders of magnitude higher than any gas. A liquid requires much more power to pump back and forth in a tube than the same volume of gas or even a stiff foam. Liquid levels in a tank may, therefore, be detected by various methods based on transport properties. The simplest mechanical design is to hang a vertical tube with small holes spaced along its length inside the tank. As the liquid level increases the holes are blocked by the liquid which increases the pressure drop and load on the pump. A pressure transducer determines the pressure drop and therefore the liquid level. Alternatively the current to run the pump can be the signal. The holes may be spaced to provide an output that is linear with liquid level or a calibration table may be used with equally spaced holes. The pump may be remotely located for flammable liquids. For an alternating flow pump remove or disable the check valve from something like a blood pressure pump and measure the amps drawn by the motor. At least a dozen expired patents exploit the high heat transfer coefficients of gas-particle fluidized beds which are an order of magnitude higher than just a gas-surface interface. Most of the resistance to heat transfer in a radiator is not on the coolant side of the tubing but on the air side. Instead of a lot of delicate small tubes that easily puncture and clog it would be better to use several feet of radiator hose sized pipe in a fluidized bed. The output of the blower, both pressure and volume, would be somewhere in the range of the vehicle's turbo charger requiring several kW. The more aerodynamic profile possible with a fluidized bed radiator would make up for most or all of the power lost on the blower. It would certainly be more rugged and reliable than a conventional radiator. Variation 1: This isn't particle bed fluidization at all but it has the same effect. A lot of thin strips or strings of tiny beads strung near the pipe would flap in low air speeds disturbing the boundary layer for enhanced heat transfer with lower pumping losses. Horizontal, vertical and other configurations could be tried to determine what gives the optimum heat transfer for the pressure drop. There is an absolute theoretical heat transfer/mechanical energy limit ratio depending on viscosity, thermal conductivity, density and other parameters. Maybe I'll work on that puppy at some later date. This isn't an invention but, like conservation of energy, it keeps you from wasting time on impossible inventions. There are lots of effects associated with the BNE but the phenomenon of larger particles rising to the top of a vertically shaken container or conveyor belt is easy to explain. When smaller particles are dispersed a larger particle can plow right through them. Try throwing a rock through sand flowing off a conveyor belt. When the smaller particles are in a packed bed the larger particle cannot make much headway. Try throwing the same rock down into a pile of sand. Due to gravity the packed bed dwells on the bottom of the container longer than on the lid so the larger particles tend to move upward on every cycle. There are two theories on why something as simple as the BNE had them wondering. The first is the primary interest in the BNE was to keep products mixed. There are only three ways to keep granular products mixed. Get rid of the cyclic accelerations, get rid of the constant acceleration of gravity or keep mixing it somehow, tumblers or conveyor belt transfer stations. There is no shortcut so researchers had a conflict of interest with the correct explanation. Another theory is that it was misnamed. Everyone kept thinking the effect involved many different sized particles when it would have been better to start off with just two different sizes, the larger just one particle. Does anyone have any other theories on how such a simple to explain phenomenon could have baffled so many for so long? Propulsion alone is inherently low jerk making it easy to target single fuselage aircraft. Helicopters suffer from low acceleration as well and when landing even speed is low. To better elude incoming fire a two or more fuselage aircraft should be designed to accelerate one mass off the other with hydraulics or pneumatics. Slower missiles could be tracked and dodged. For faster fire a random erratic movement could be optimized to disrupt targeting to improve survival rates. For cruising the fuselages retract and fit together for a fluidynamic profile. Drones can take many more Gs than a human pilot and may finally be able to compete against manned fighters. Like a lot of big engineering projects a dam running straight across the sea would be 100% useless until the dam is 100% complete. This is not a plan in a time of budget cuts. Since fish, birds and boaters don't need 50' deep water all that is necessary is to dredge a series of earth levees outside a contour for shallow lakes along the perimeter. The lakes below, for example, are all less than 10 feet deep. This flexible pay-as-you-go approach preserves the original shoreline while immediately providing at least some relief for wildlife. The dam-lake system could be designed along with geological data to reduce the creation of and destruction from a tsunami. When the lakes along the perimeter are completed the water enclosed in the deeper areas can be evaporated. 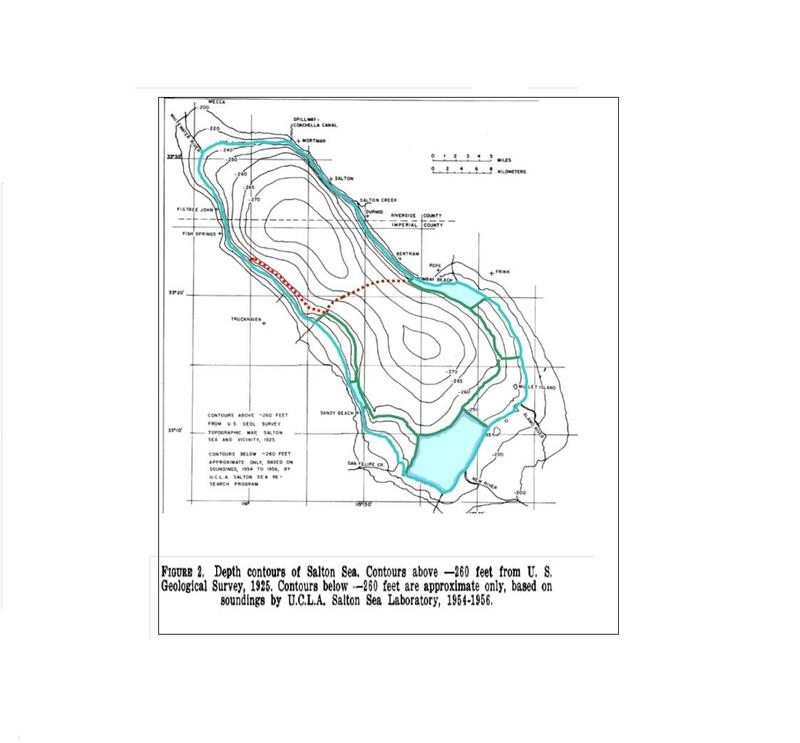 As in other plans this area can be used to deposit salt and for geothermal power plants. Eventually the lakes might be rejoined for a unique loop shape. String up two 674 c road rims side by side for a mountain dually. When one tire goes flat there's back up. Notice that the spokes from one side of the hub tie into the rim on the other side. 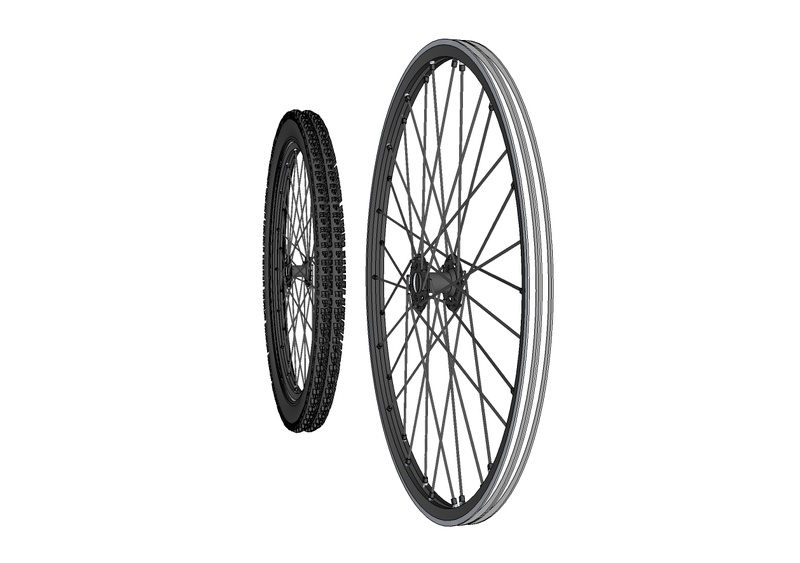 The hub and spokes are stock and the rims can be custom made in Italy. Just go around the gasket a couple times with Teflon tape. This is w/o question the cheapeast and easiest bang for the buck. Since this was first posted a study showed that cross training on machines for strength helped runners and cyclists but not swimmers. The theory was swimming is so highly technical upper body strength wasn't all that important. Another theory is that the limiting factor for some swimmers is heart lung so efficiency is more important. In any event missile guidance system gyros might not be necessary to improve your stroke. Three axis MEMS accelerometers are cheap and a dozen or so on a full body swim suit with water proof data acquisition could track a swimmer's stroke. The traces could later be compared to someone who knows how to swim. This low cost consumer item is nothing more than small ingestable reflective fibers dusted, painted or sprayed onto kitchen surfaces, silverware, plates and pots and pans. After the liquid evaporates the orientation of the fibers is easily disturbed. The next morning it is easy see what part of your kitchen counter is popular with the cockroaches. The coefficient of restitution is irrelevant with this system. On the plus side no fuel is required, just water for cooling and heating. On the minus side it is a very low speed vehicle. Water is sprayed onto a hot road as it passes under the front of the vehicle. The water evaporates off the road and carries the heat to the hot side of a low temperature difference vapor or air engine. Before the water is sprayed onto the road bed it is preheated by the cold side of the engine. The water may be evaporative cooled while in the tank to increase the delta T.
You cycle past a picket fence and your luminescent shirt develops horizontal bars to contrast with the fence. Is 90 degrees always best? What would be the best colors? The two or more "different" fields are only superficially different, or just different enough to provoke some thought. "In reality, above all Voltaire envies the English for their literary freedom but cares hardly a bit for their political freedom, as if the former could ever exist for long without the latter." The same also holds for technological innovation. No political freedom => no inventing. “Tom Paine has almost no influence on present-day thinking in the United States because he is unknown to the average citizen. Perhaps I might say right here that this is a national loss and a deplorable lack of understanding concerning the man who first proposed and first wrote those impressive words, 'the United States of America.' But it is hardly strange. Paine's teachings have been debarred from schools everywhere and his views of life misrepresented until his memory is hidden in shadows, or he is looked upon as of unsound mind. “We never had a sounder intelligence in this Republic. He was the equal of Washington in making American liberty possible. Where Washington performed Paine devised and wrote. The deeds of one in the Weld were matched by the deeds of the other with his pen. “Washington himself appreciated Paine at his true worth. Franklin knew him for a great patriot and clear thinker. He was a friend and confidant of Jefferson, and the two must often have debated the academic and practical phases of liberty. “I consider Paine our greatest political thinker. As we have not advanced, and perhaps never shall advance, beyond the Declaration and Constitution, so Paine has had no successors who extended his principles. Although the present generation knows little of Paine's writings,and although he has almost no influence upon contemporary thought, Americans of the future will justly appraise his work. I am certain of it. "Fun is the father of invention."